Fans of international distance running are in for a real treat this April—a month packed with a series of thrilling races set to unwind over the classic 26.2-mile marathon distance. London and Boston should provide highlights, but contests in Paris, Hamburg, Rotterdam, Vienna and Hanover offer fabulous elite fields as well. 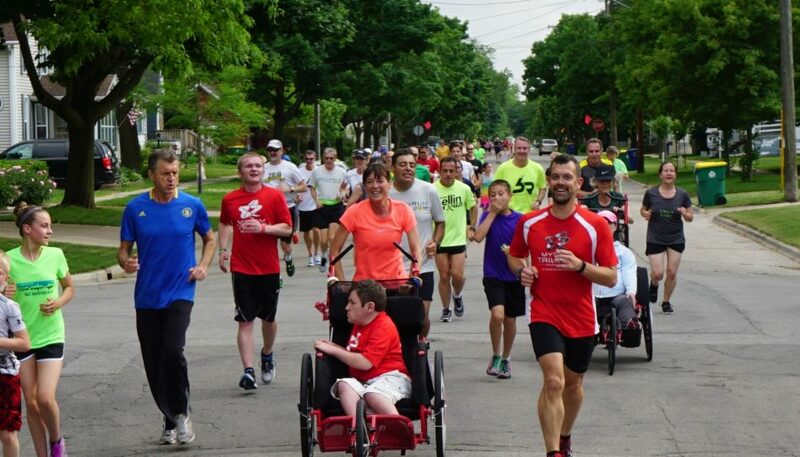 An incredible 200,000 runners of all abilities have registered for these seven races alone, and they will be cheered on by several million spectators. 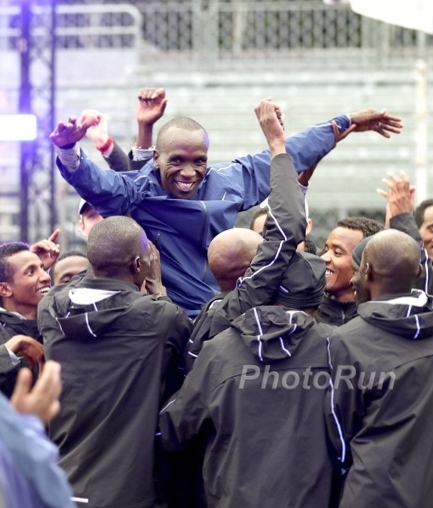 The man currently regarded as the world’s top marathoner, Eliud Kipchoge of Kenya, will test himself against a group of world-class runners in London in what could very well be a dress-rehearsal for this summer’s Olympic Games. 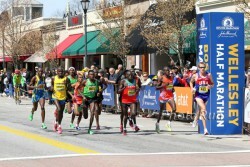 Among his challengers is Ethiopia’s top marathoner, Kenenisa Bekele. Germany’s newest marathon star, Arne Gabius, will also be running in London. Boston has a half-dozen men who can boast sub-2:05 times. Four athletes from the KIMbia group coached by Dieter Hogen, which has long been associated with Take The Magic Step, will race Rotterdam and Vienna in April. For many leading runners these races in the coming weeks will take on the added importance of being qualifiers for their countries’ teams for the Olympic marathon in Rio in August. 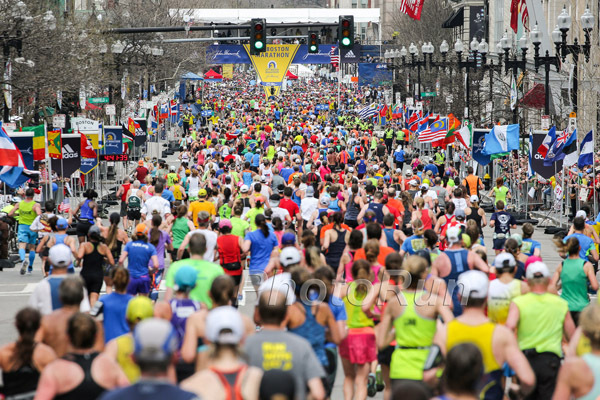 Simply put, Boston is the quintessential classic spring marathon. More than 30,000 runners will line up for the 120th edition of the point-to-point race that starts in Hopkinton and finishes in Boston. The elite field shows an extraordinary strength: no fewer than ten men have personal best times under 2:06 and there are a dozen women who have run faster than 2:25. The course-record holder, Geoffrey Mutai of Kenya, whose best is 2:03:02, will face the defending champion, Lelisa Desisa of Ethiopia. The women’s field includes last year’s winner, Caroline Rotich of Kenya as well as the Olympic champion, Tiki Gelana of Ethiopia. 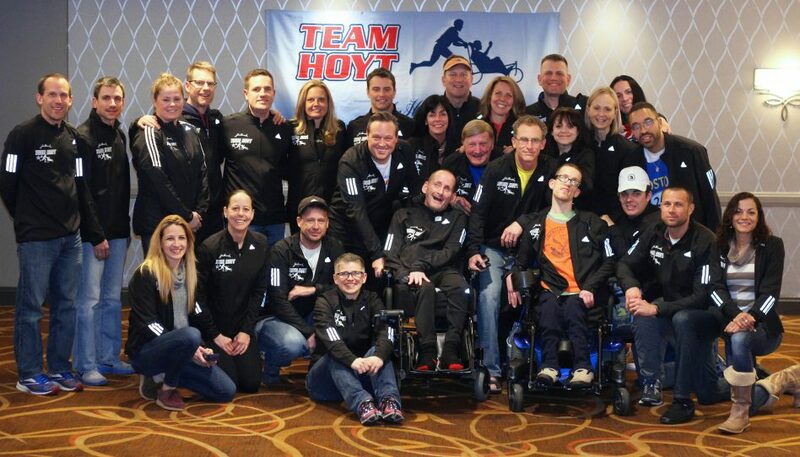 Uta will also be participating in the many events held in conjunction with the marathon. 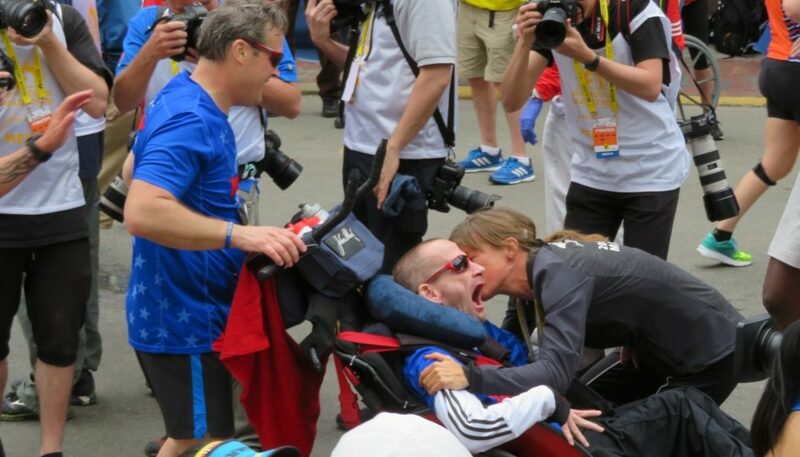 Twenty years ago she won the 100th Boston Marathon and is delighted to be able to celebrate that famous anniversary in “Beantown.” You can read more about her Boston schedule here. Men: Geoffrey Mutai (KEN/2:03:02), Sammy Kitwara (KEN/2:04:28), Tsegaye Mekonnen (ETH/2:04:32), Lelisa Desisa (ETH/2:04:45), Yemane Adhane Tsegay (ETH/2:04:48), Getu Feleke (ETH/2:04:50), Wilson Chebet (KEN/2:05:27), Hayle Lemi Berhanu (ETH/2:05:28), Stephen Chebogut (KEN/2:05:52), Deribe Robi (ETH/2:05:58), Wesley Korir (KEN/2:06:13), Michael Kipyego (KEN/2:06:48), Paul Lonyangata (KEN/2:07:14), Jackson Kiprop (UGA/2:09:32), Cuthbert Nyasango (ZIM/2:09:52). Women: Tiki Gelana (ETH/2:18:58), Buzunesh Deba (ETH/2:19:59), Tirfi Tsegaye (ETH/2:20:18), Mamitu Daska (ETH/2:21:59), Atsede Baysa (ETH/2:22:03), Flomena Cheyech Daniel (KEN/2:22:44), Tadelech Bekele (ETH/2:22:51), Jelena Prokopcuka (LAT/2:22:56), Valentine Kipketer (KEN/2:23:02), Caroline Rotich (KEN/2:23:22), Joyce Chepkirui (KEN/2:24:11), Fatuma Sado (ETH/2:24:16), Purity Cherotich Rionoripo (KEN/2:25:09), Fate Tola (ETH/2:25:14), Lamei Sun (CHN/2:27:55). Almost a quarter of a million runners applied to run in London, a reflection of the massive popularity of a race that is also a charity fund-raising champion. 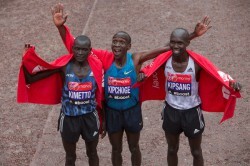 Last year’s winner, Eliud Kipchoge from Kenya will race against his heralded compatriots—the world-record holder, Dennis Kimetto, and the two-time London winner and former world-record holder, Wilson Kipsang. Kenenisa Bekele of Ethiopia will be running London for the first time after a 15-month injury hiatus. The race will be the Olympic qualifier for the top Kenyan and Ethiopian runners. And it will be fascinating to see what Germany’s Arne Gabius, who set a national record of 2:08:33 in Frankfurt last October, can achieve in this field. You can read more about Arne and his preparations for London here. The women’s line-up has last year’s surprise winner, Tigist Tufa of Ethiopia, renewing her battle with the double-London winner, Mary Keitany, as well as two of Mary’s Kenyan fellow countrywomen: the Berlin Marathon champion Gladys Cherono and the world half-marathon-record holder Florence Kiplagat. Men: Dennis Kimetto (KEN/2:02:57), Wilson Kipsang (KEN/2:03:23), Eliud Kipchoge (KEN/2:04:00), Stanley Biwott (KEN/2:04:55), Kenenisa Bekele (ETH/2:05:04), Tilahun Regassa (ETH/2:05:27), Abera Kuma (ETH/2:05:56), Samuel Tsegay (ERI/2:07:28), Ghirmay Ghebreslassie (ERI/2:07:47), Amanuel Mesel (ERI/2:08:17), Serhiy Lebid (UKR/2:08:32), Arne Gabius (GER/2:08:33), Tewelde Estifanos (ERI/2:09:16), Ghebrezgiabhier Kibrom (ERI/2:09:36), Vitaliy Shafar (UKR/2:09:58), Bedan Karoki (KEN/Debut). Women: Mary Keitany (KEN/2:18:37), Gladys Cherono (KEN/2:19:25), Aselefech Mergia (ETH/2:19:31), Florence Kiplagat (KEN/2:19:44), Mare Dibaba (ETH/2:19:52), Priscah Jeptoo (KEN/2:20:14), Feyse Tadese (ETH/2:20:27), Jemima Sumgong (KEN/2:20:41), Tigist Tufa (ETH/2:21:52), Jessica Augusto (POR/2:24:25), Volha Mazuronak (BLR/2:25:36), Rkia El Moukim (MAR/2:26:33), Diana Lobacevske (LTU/2:28:03), Sonia Samuels (GBR/2:28:04), Freya Ross (GBR/2:28:10). 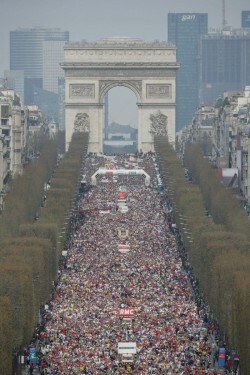 With 57,000 runners, the Paris Marathon is the biggest of the spring races. Only New York, in the fall, is likely to attract greater numbers this year. In the ninth edition of the Paris Marathon nine men will line up with best times below 2:07 and they include last year’s winner Mark Korir of Kenya. 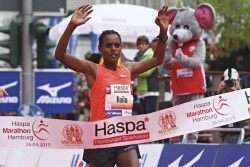 Also returning to defend her title is the women’s champion, Meseret Mengistu of Ethiopia. Men: Bernard Koech (KEN/2:04:53), Mark Korir (KEN/2:05:49), Laban Korir (KEN/2:06:05), Abraham Feleke (ETH/2:06:13), Seboka Tola (ETH/2:06:17), Stephen Chemlany (KEN/2:06:24), Alfers Lagat (KEN/2:06:48), Micah Kogo (KEN/2:06:56), Felix Kiprotich (KEN/2:06:59), Luka Kanda (KEN/2:07:20), Elijah Kemboi (KEN/2:07:34), Robert Kwambai (KEN/2:08:18), Beraki Beyene (ERI/2:08:27), Cyprian Kotut (KEN/2:08:55), Jackson Limo (KEN/2:09:06), Wilfried Murgor (KEN/2:09:37). Women: Georgina Rono (KEN/2:21:39), Meseret Mengistu (ETH/2:23:26), Visiline Jepkesho (KEN/2:24:44), Rebecca Chesir Kangogo (KEN/2:25:22), Martha Komu (FRA/2:25:33), Fatna Maraoui (ITA/2:30:50). All eyes this year will be on the elite men’s field in Rotterdam. Seven athletes have personal bests under 2:07 and they include the fastest, Tsegaye Kebede of Ethiopia with a 2:04:35. KIMbia’s Lani Rutto and Allan Kiprono will be running, and have completed their race preparations at home in Kenya. Men: Tsegaye Kebede (ETH/2:04:35), Vincent Kipruto (KEN/2:05:13), Bazu Worku (ETH/2:05:25), John Mwangangi (KEN/2:06:13), Matthew Kisorio (KEN/2:06:33), Lani Rutto (KEN/2:06:34), Abayneh Ayele (ETH/2:06:45), Allan Kiprono (KEN/2:09:38). 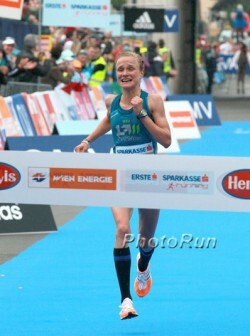 Women: Miranda Boonstra (NED/2:27:32)—other runners still to be announced. Each year, Austria’s largest sports event offers a true festival of running. With the motto “Run Vienna—Enjoy Classics” the event connects running with the cultural and tourist highlights of the city of Vienna. Kenya’s Levy Omari is looking to achieve a fast time in Vienna while KIMbia is sending Suleiman Simotwo and Raymond Choge. The organizers are hoping for a new women’s course record, with Guteni Shone of Ethiopia a favorite. Men: Levy Omari (KEN/2:05:16), Robert Chemosin (KEN/2:08:05), Suleiman Simotwo (KEN/2:08:49), David Kogei (KEN/Debut), Raymond Choge (KEN/Debut)—other runners still to be announced. Women: Guteni Shone (ETH/2:23:32), Helaria Johannes (NAM/2:26:09), Fantu Jimma (KEN/2:26:14), Meseret Kitata (ETH/2:27:27), Shuko Genemo (ETH/2:27:29), Jia Chaofeng (CHN/2:27:40), Doris Changeywo (KEN/2:44:26), Ruti Aga (ETH/Debut). 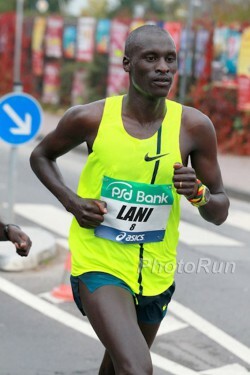 The course-record holder and double winner in Hanover, Lusapho April, one of South Africa’s leading marathoners, makes his return, and among his opponents will be the defending champion, Cheshari Jacob of Kenya. In the women’s race, Germany’s Anna Hahner is hoping to run substantially under the Olympic-qualifying standard for Rio while her sister Lisa will participate in the race as well. 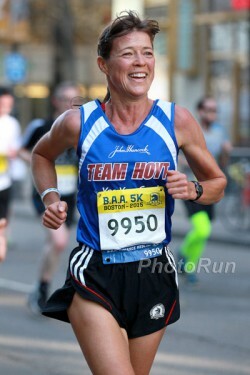 Lisa ran the standard in Frankfurt in October. Men: Philipp Kimutai (KEN/2:06:07), Cheshari Jacob (KEN/2:07:46), Duncan Koech (KEN/2:07:53), Lusapho April (RSA/2:08:32), Martin Kosgey (KEN/2:09:50), Moses Masai (KEN/2:10:36)—other runners still to be announced. Women: Anna Hahner (GER/2:26:44), Tizita Terecha Dida (ETH/2:28:02), Edinah Kwambai (KEN/2:29:35)—other runners still to be announced. The objective for many of the elite athletes in Germany’s biggest spring marathon will be to meet their respective national qualifying times for the Olympics. Making a return is Shumi Dechasa of Bahrain, the 2014 winner, as is last year’s women’s champion Meseret Hailu of Ethiopia. Julian Flügel of Germany will be looking to make further improvement to strengthen his Olympic claims, while Anja Scherl also aims to run the qualifying time for Rio. Men: Tadesse Tola (ETH/2:04:49), Feyisa Bekele (ETH/2:06:26), Shumi Dechasa (BRN/2:06:43), Hendrick Ramaala (RSA/2:06:55), Philemon Rono (KEN/2:07:07), Ezekiel Chebii (KEN/2:07:18), Julian Flügel (GER/2:13:57), Moses Kipsiro (UGA/Debut), Nicholas Bor (KEN/Debut). Women: Meseret Hailu (ETH/2:21:09), Maida Perez (MEX/2:22:59), Beata Naigambo (NAM/2:26:57), Filomena Costa (POR/2:28:00), Adriana da Silva (BRA/2:29:17), Monika Stefanowicz (POL/2:29:28), Mona Stockhecke (GER/2:33:50), Anja Scherl (GER/2:36:31). The times set in the Boston Marathon cannot be recognized as official world records since the course does not meet the criteria (max. drop on one meter per kilometer, start and finish only permitted to be a max. 50% of the course distance apart).